Story: Le Petit Rigolo is a little boy illustrating differences and how things work on a wide range of subjects like humor, alcohol, dictators, politics etc. Background notes: Le Petit Rigolo Illustré (French meaning The Little Funny Shows) was a one page series that ran in the Belgian magazine Spirou #2682 (1989) trough 2786 (1991) on a more or less regular basis. 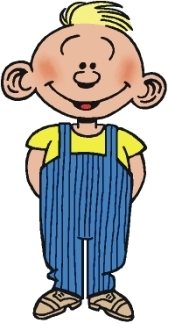 The boy who was the connecting character and narrator was never named, but when reading the comics he becomes synonymous with Le Petit Rigolo as he is the one to illustrate whatever is the topic of the comic. 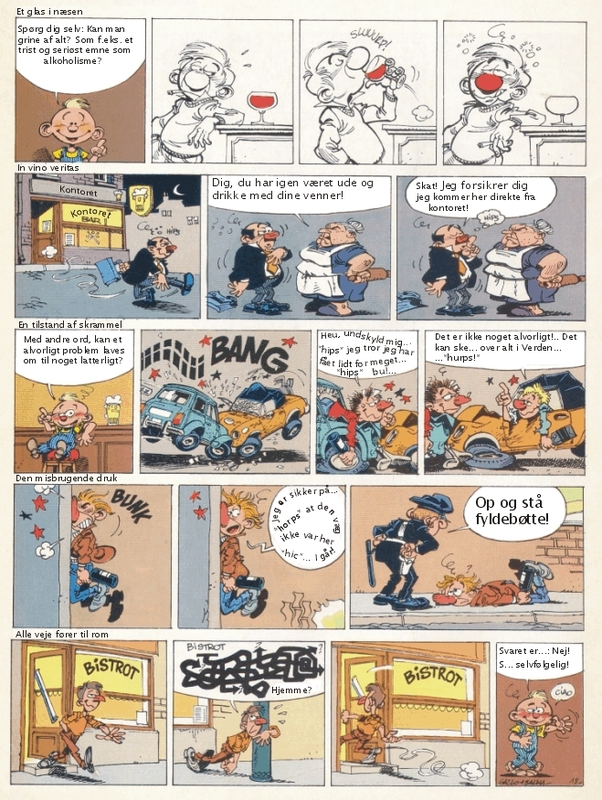 The series was one of those that didn't make it outside the magazine, and was not seen again, until it suddenly resurfaced in 2007 in Spirou #3601. The series was created by Sergio Salma, who was the driving force in the series. Most of the pages was written and illustrated only by Salma, but he did have several co-authors on the series while it ran.